Hi everyone! I’m Cara from CaraQuilts and I’m back with a fun Valentine’s Day project for you! It only uses 1 layer cake and some yardage to make a 60″ x 64″ quilt! 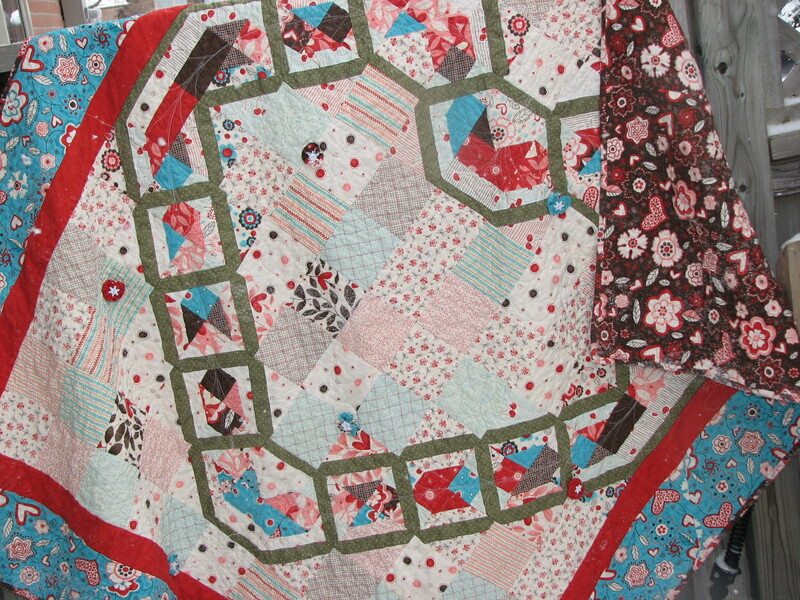 This quilt is the perfect size to snuggle under on the couch with your sweetie! It isn’t very hard and you can make it up in a weekend! As always, please read through the directions before starting and if you have any questions, you can message me over on my blog; I love hearing from you! 2 x 1/4 yd of light prints, or 1/2 yd of one print/solid. 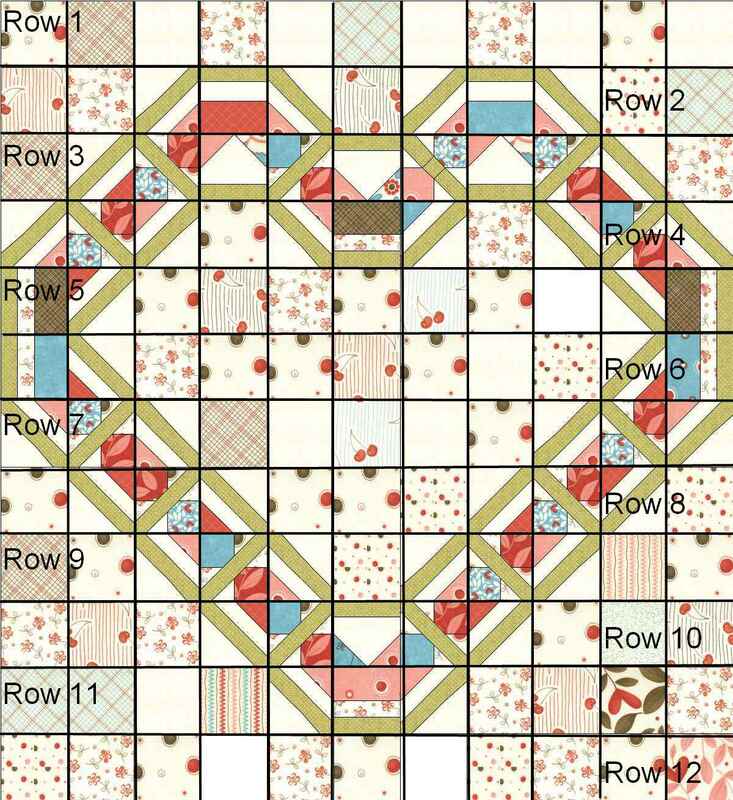 There are 4 different pieced blocks for this quilt and a bunch of 4 1/2″ plain blocks. 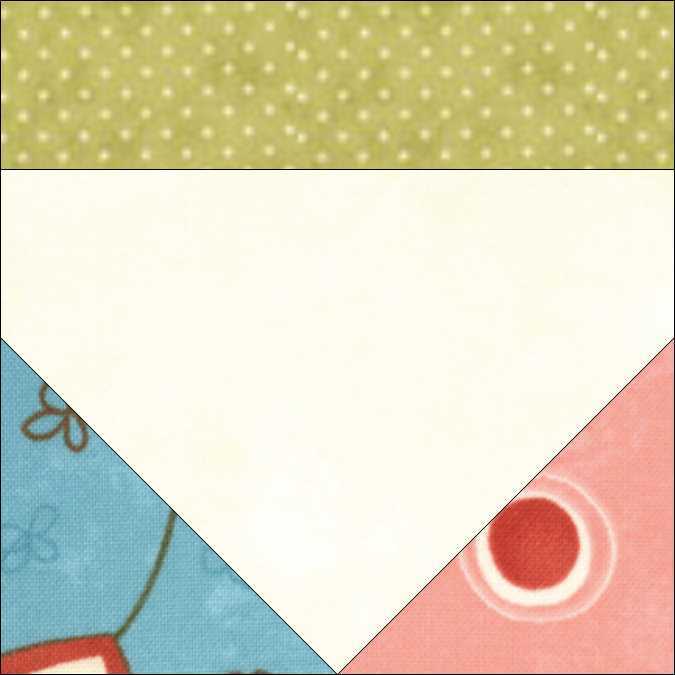 The layer cake has plenty of fabric for the coloured pieces but you need to decide how scrappy you want the pieced heart to be. 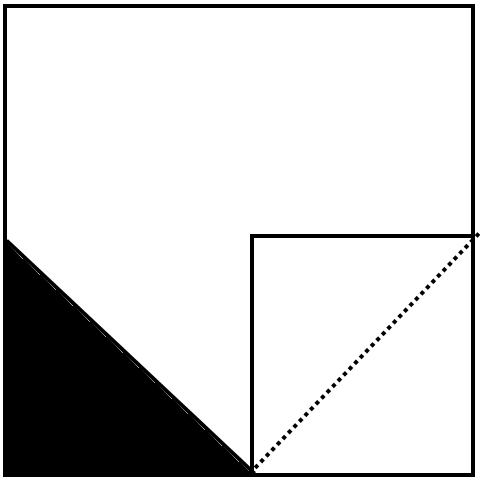 You can cut all of a few layer squares, or a little of most of them; It’s up to you. Just make sure you have the required amount of each patch. I’ve included how many layer cake squares it will take to get the right number of patches. To get the most out of your layer cake, I recommend cutting the larger patches first. You’ll be able to get some of the smaller pieces from what’s left over. 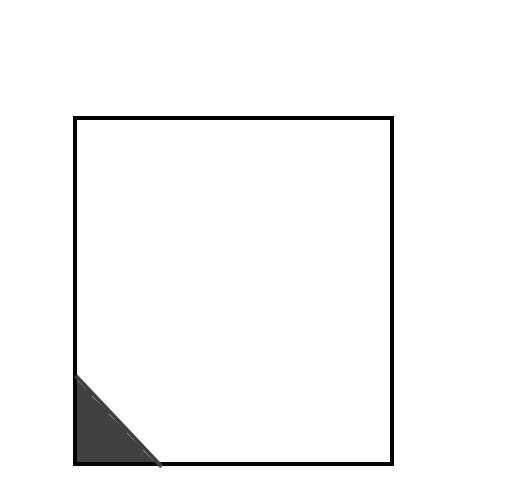 Remember if you want to add garnishes, you need (1) 5″ square per yo-yo heart. Stitch (1) 1 7/8″ x 4 1/2″ white strip to (1) 2 1/2″ x 4 1/2″ coloured strip. Stitch (1) 1 1/4 x 4 1/2″ green strip to the the white strip. Press the entire unit to the coloured strip. Repeat so you have 8 blocks. 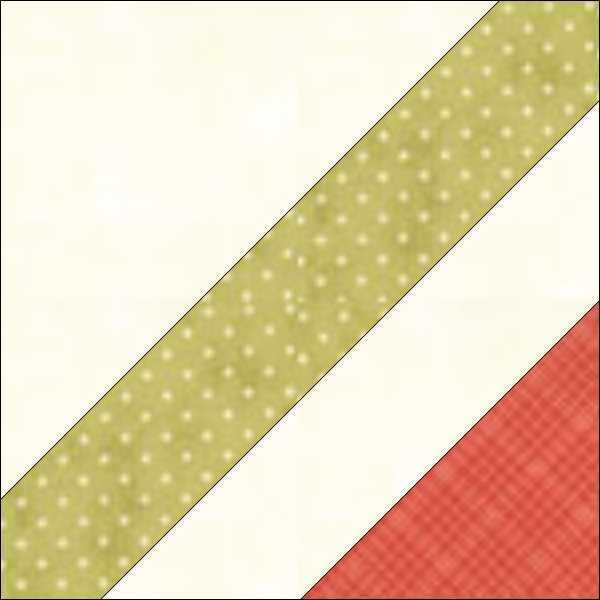 Take (1) 4 1/8″ white square and stitch (1) 2 1/2″ coloured square to one corner using the stitch and flip method. Press the square open. Cut away the excess layers. 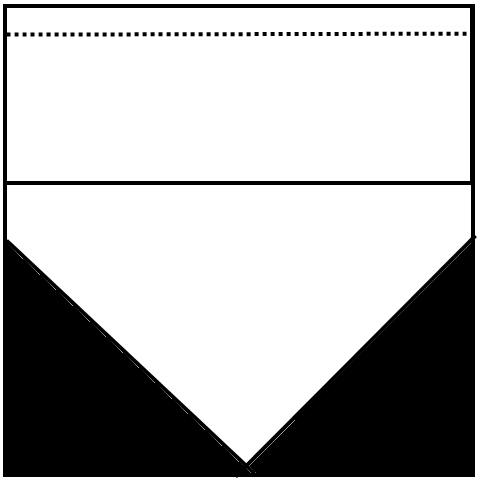 Cut the entire unit in half on the diagonal, DO NOT CUT THROUGH THE TRIANGLE. 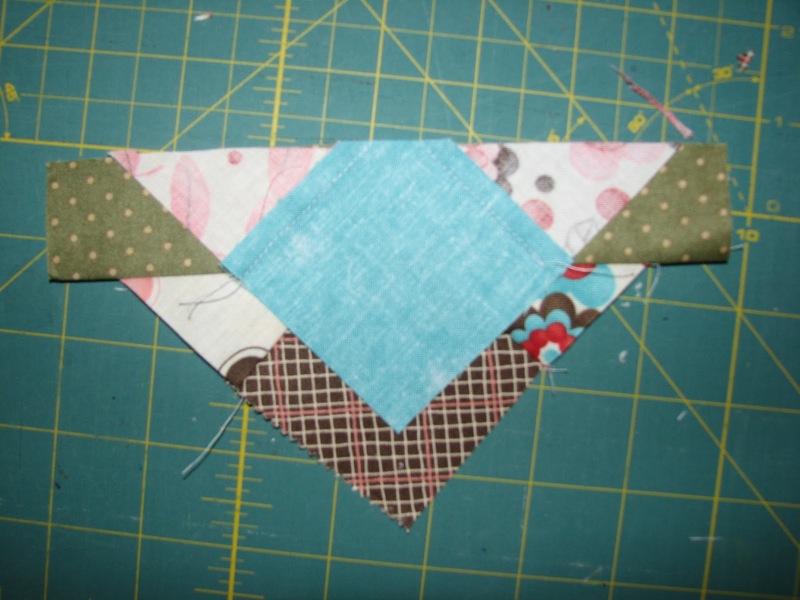 Take (1) 1 1/2″ green strip and stitch the triangle units you just created to each side. Press. Trim to 4 1/2″. Repeat so that you have 32 blocks. 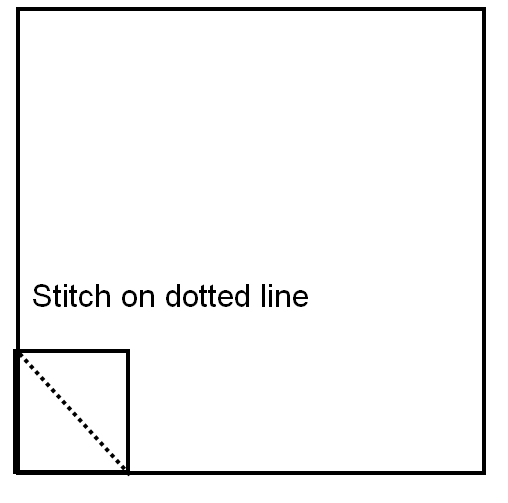 Take (1) 3 3/4″ white square, and stitch a 2 1/2″ square to one corner, using the stitch and flip method. 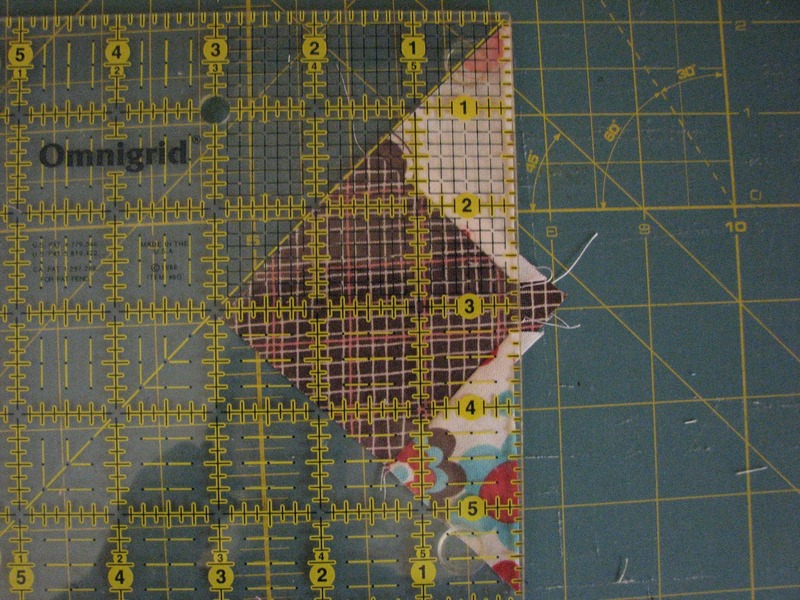 Press and cut away the excess layers. Repeat on the other corner. Stitch (1) 1 1/4″ x 4 1/2″ green strip to the top of the unit. Press to the white. 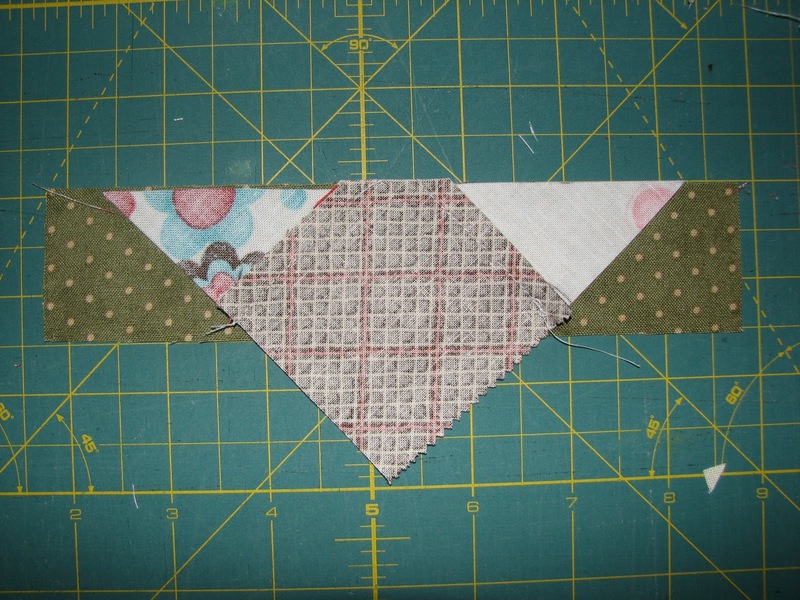 Using the layout below, stitch the blocks into rows and then stitch the rows together. 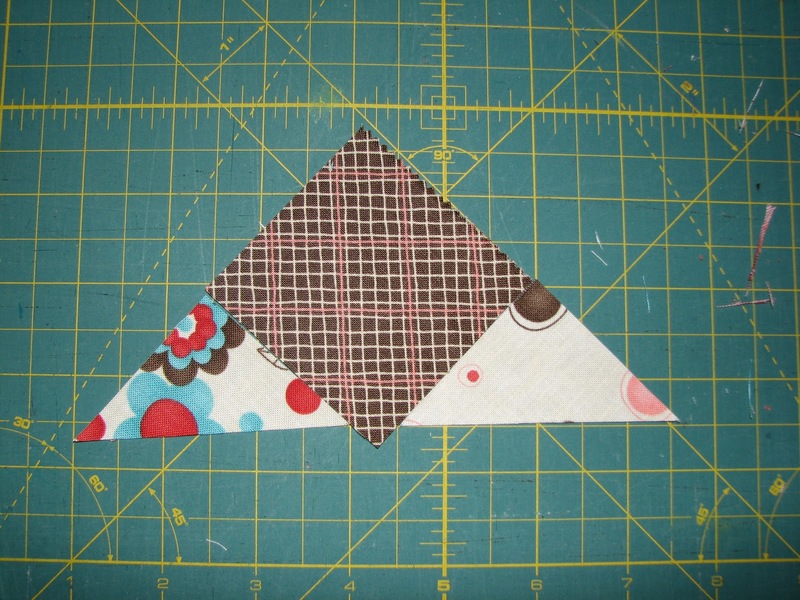 Make sure that you press the rows in opposite directions so the seams “snap” together when you sew them. Measure your top well. Cut (5) 2 1/2″ x WOF. Cut (1) of the strips into quarters, about 11″. 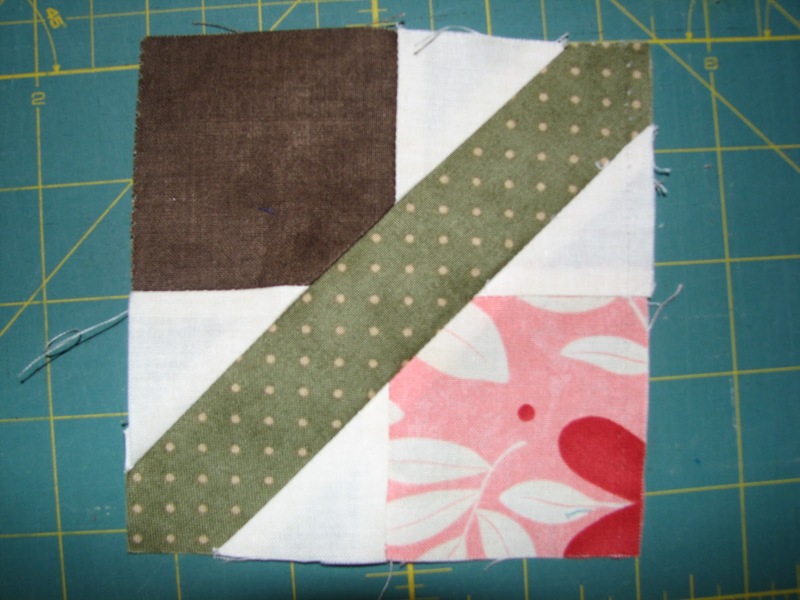 Using stitch and flip stitch the short piece to one end of each of the (4) uncut strips. Press. 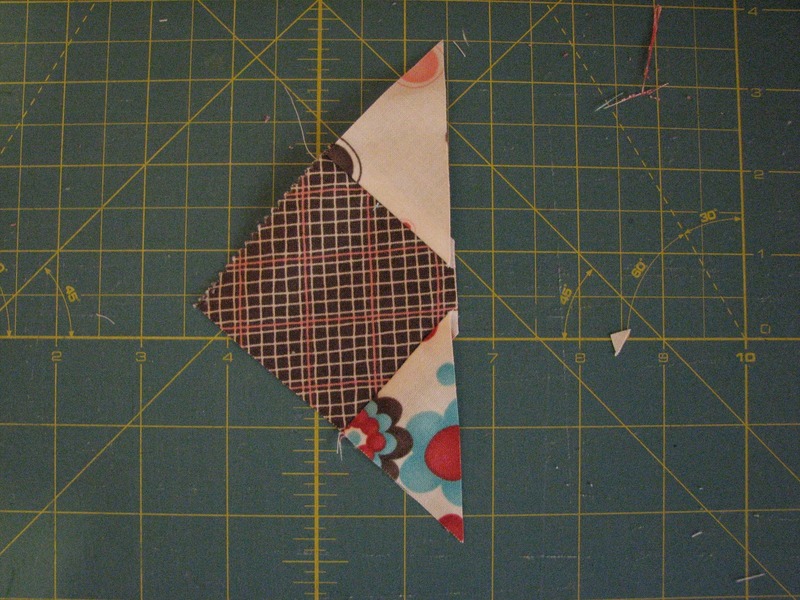 Stitch a strip to each side of the top and press towards the strips. Stitch strips to the top and bottom. Press towards the strips. 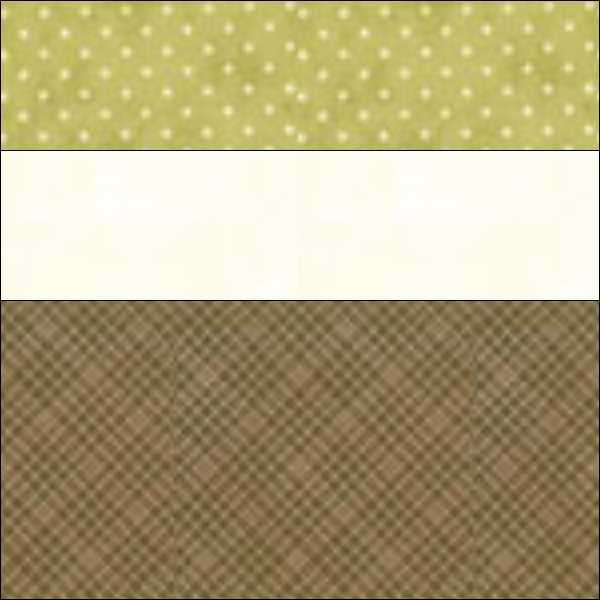 Cut (6) 5 1/2″ x WOF strips for your outer border. 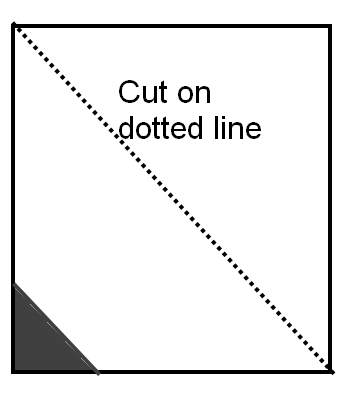 From (1) strip, cut (2) 8″ strips. 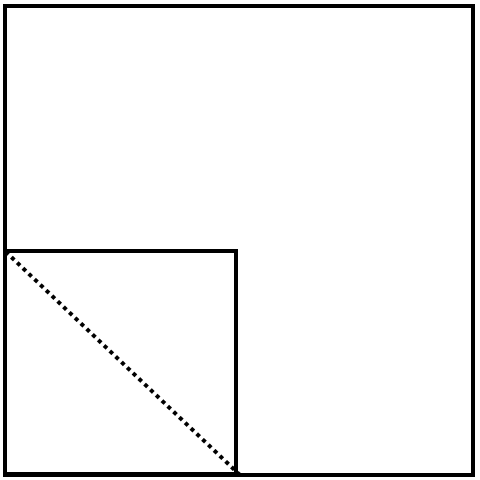 Cut the remainder in half. 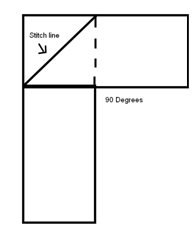 Each should measure about 13 1/2.” Using the stitch and flip method, attach (1) of the shorter strips to one end of each of the full strips. Stitch the shorter (2) strips to the sides of the quilt. Press toward the center. 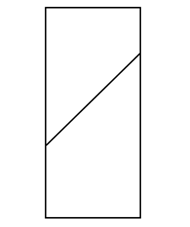 Attach the remaining two strips to the top and bottom and press towards the center. 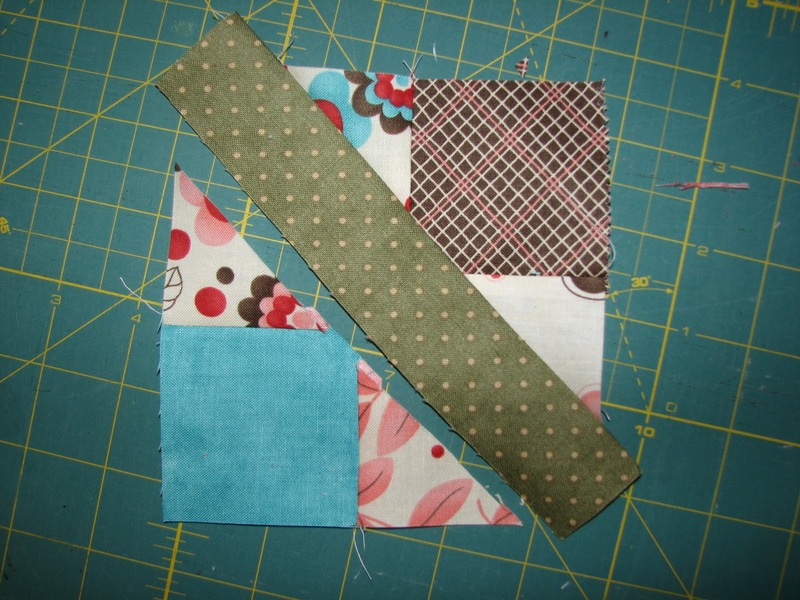 Baste, Quilt and Bind! 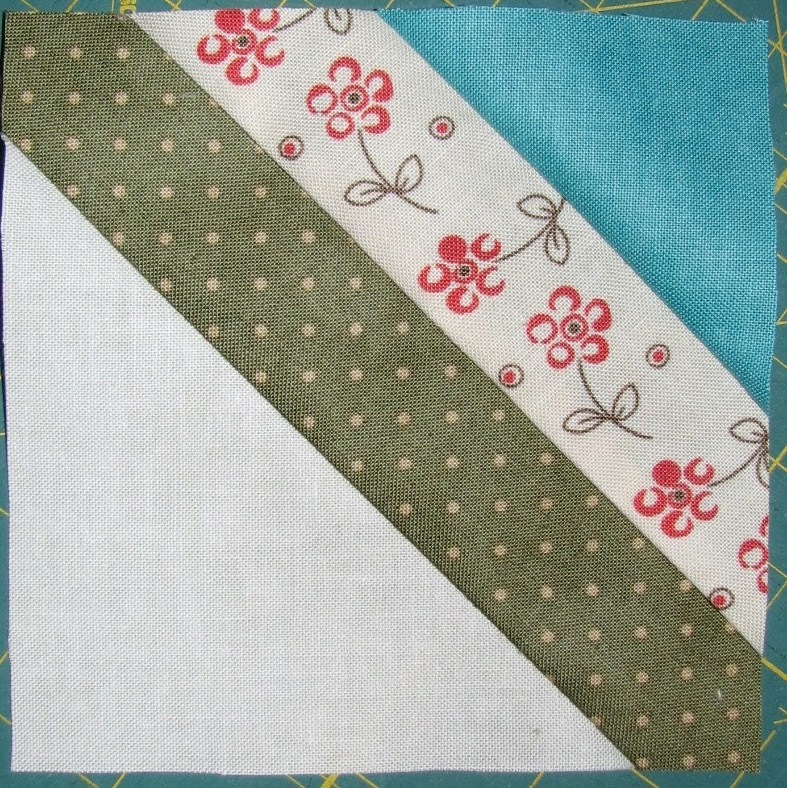 For quilting, I did a meander with heart “leaves” in the border and center of the quilt. I quilted feathers going in opposite directions around the outside and through the pieced heart. Follow the manufacturer’s directions and create however many heart yo-yos you would like. 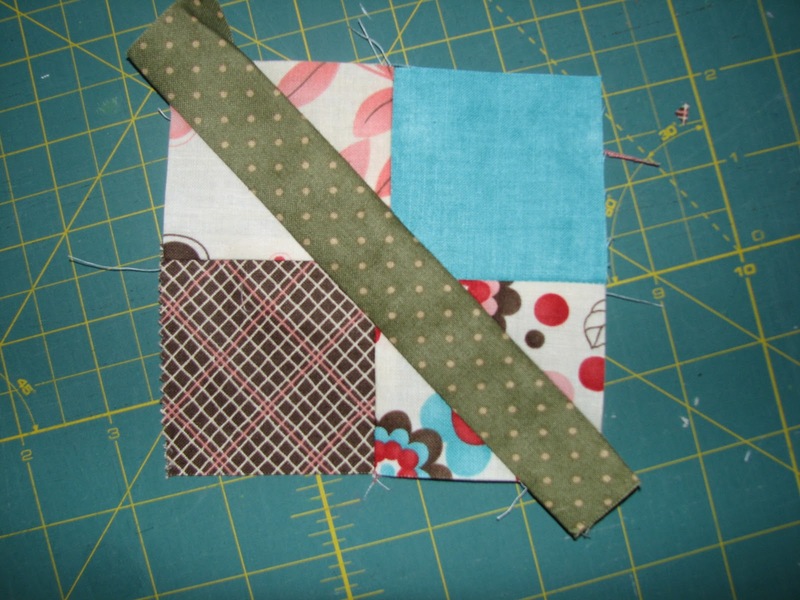 Stitch a cute button to the yo-yo and then stitch the whole unit to the quilt. I just scattered them through out randomly! DO NOT ADD BUTTONS IF GOING TO A CHILD UNDER 3!! They are a choking hazard. Viola! One fun Valentine’s Day quilt! I’d love to see yours if you make one! E-mail me over on my blog or post on the Moda Bake Shop flickr group!! 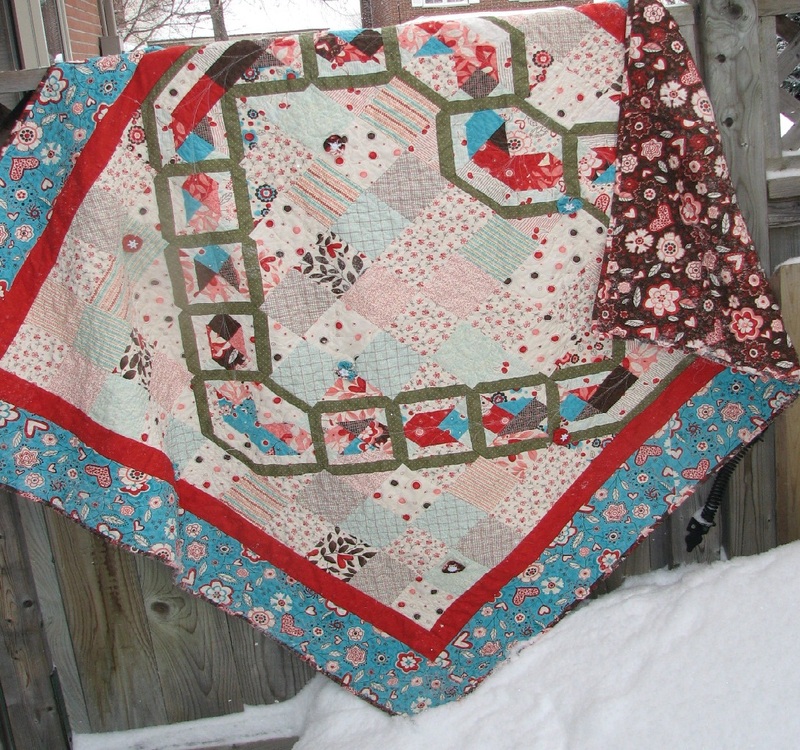 This entry was posted in Ambitious, Layer Cake, Quilt, Seasonal and tagged Giddy, Sandy Gervais, Valentine's Day.